Thank you Kylie!! I scored it from the Zara winter sale! Lovely print mixing and really great tips! Fantastic look! I'm glad you thought so! Thank you!! Thanks so much!! An awesome find from the Zara winter sale! I am a big fan of neutrals esp. 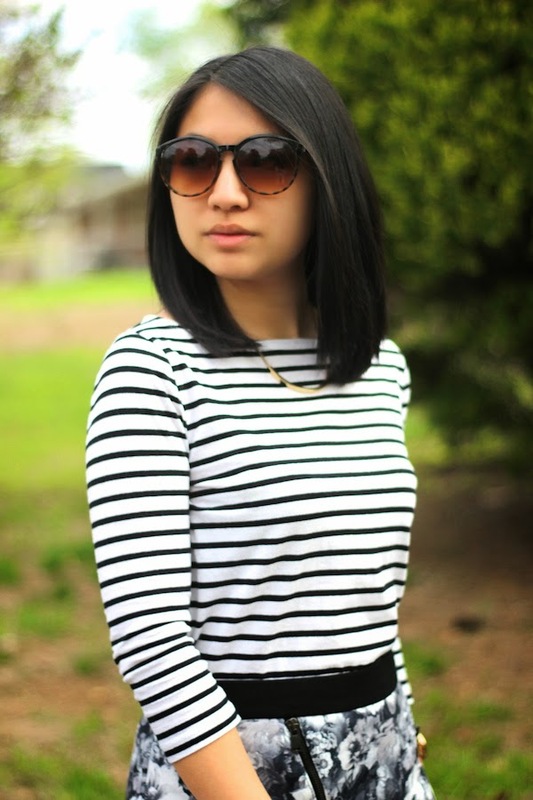 the B&W palette ....so I am delighted to see this great look from you Lau! The skirt & heels are so divine!! I love the mixing, heels are so beautiful, skirt is perfect. Wishing you a great weekend as well! Thank you! You already know how much I adore this outfit on you but I always enjoy seeing more pictures on your blog! :) I also enjoyed reading your tips! Have a great weekend babe! love that you took the plunge and made the "mixing prints" work for you. you look great!